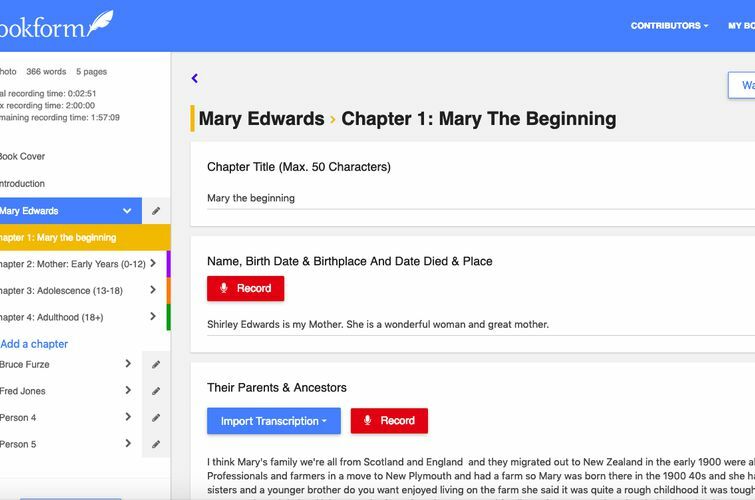 After 2 years, over 1000 customers in 31 countries, and pilot projects in schools & aged care, Bookform has launched upgraded software and a new user interface. All these upgrades will automatically appear in existing user’s book-creating dashboards. Editing: if you see a mistake in the digital version of your book there is a link directly to your dashboard to make the edit. Add chapters: adding more chapters available & introduction. Format of dashboard: should be clearer now, sections are colour-coded, so it’s easier to know where you are in the book dashboard. Instruction videos: various 2-3 minute instruction videos on specific areas of the book-creating process. Voice-to-text: updated capturing processes to make this even more accurate. Pilots projects are continuing at the GIIS School in Singapore. This year new projects will be confirmed in Melbourne, San Francisco and New Zealand. Does your school want to engage students, families and the wider community in projects for bonding and sharing authentic life stories, for education, cultural development and wellbeing?